I just mentioned the Day One app in yesterday’s post, but it deserves some exploration. 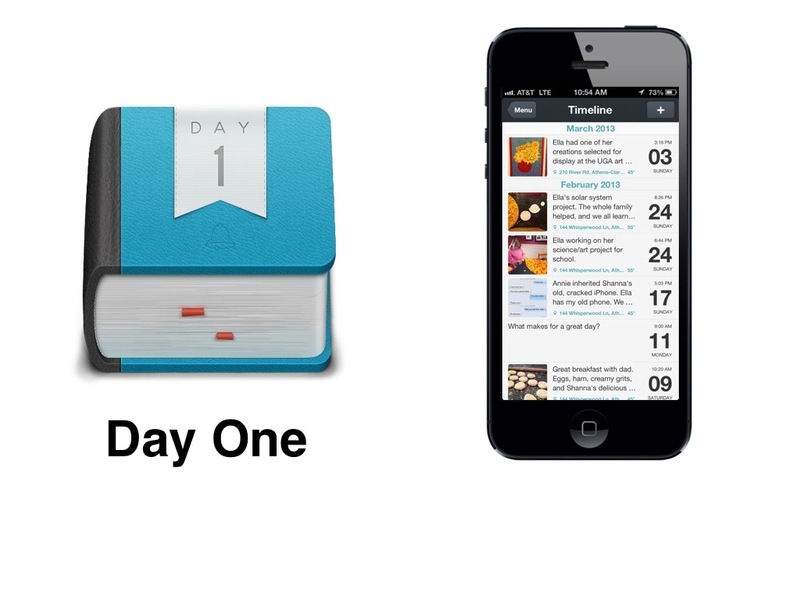 Day One is a simple-to-use, beautifully designed journaling app for iOS and Mac. I’ve always wanted to keep a journal. I just never have. There seemed to be too much friction to ever get started and then keep it going. I have terrible handwriting, so a paper journal never appealed to me. And I never put the effort into setting up a document on my computer. Last year I discovered the Day One app for iPhone. I’ve now become a consistent journal keeper, using it on my Mac and iPad as well. (It syncs perfectly between all my devices.) The app is so thoughtfully made that you want to open it and use it often. I find myself dropping in photos and snippets of text throughout each day. I keep track of my kids’ activities, my meals, books I’m reading, movies, ideas to explore later, my daily “MITs” (most important tasks), and whatever comes to mind that might be worth recording. Knowing it’s private, I’m uninhibited by what others might think. I don’t worry about polishing my words for public consumption. It’s like my own private Twitter, and it’s been a delight to use. Here is an inspiring list of uses from the Day One blog. Why journal? It certainly leads to a more examined life. I find myself looking for interesting moments, maybe even creating more interesting moments, just to add them to Day One. I want my days to be more remarkable, more worth writing about. I do want to tell a good story with my life, and chronicling my thoughts and actions makes me more aware and more intentional about the quality of my day-to-day story. Trying to express yourself, in private or public, helps you better understand yourself. Putting ideas into words ends up shaping the ideas. The best way to know the Truth or Beauty is to try to express it. And what is the purpose of existence Here or Yonder but to discover truth and beauty and express it? Truth and beauty. A story worth telling. Your life in your pocket. Express yourself every day.